learners in school to convert their money into e-tokens that can be loaded onto the card and then they can use this card to make their purchases. The benefit of the product is that it could eliminate the use of cash at school. 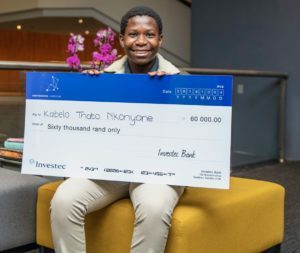 In second place is Kehauhetswe Diamond Machaka, from Kgakoa Secondary School, for his Lullaby Pillow, which will play lullabies to babies to help them sleep. This device comes with a remote control and the purpose is to help soothe a restless baby should the need arise. 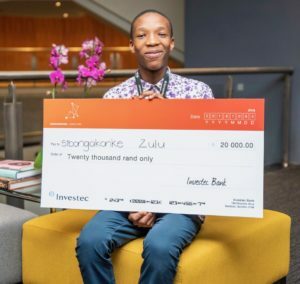 Sibongakonke Zulu from Ponelopele Oracle Secondary School, also in Gauteng, came third for his Early Warning Headphones, aimed at keeping pedestrians safe. Since pedestrians often listening to music or take calls, using earphones, while walking, he came up with the idea of a warning sound to alert users of approaching vehicles. Congratulations to our three winners, who were up against stiff competition. They will be receiving generous prizes from Investec in terms of funding towards their tertiary studies! 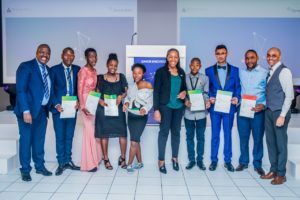 We would also like to congratulate the 11 finalists and all 27 shortlisted contestants who came to Investec for the workshops and pitches. We are proud of all of you and are excited to see how you shape your destinies going into the future. Congratulations too to all the students who entered the competition and took the time to come up with innovative ideas and go through the detailed process of entering. You have proven you are entrepreneurially aware and that you look at the world through the lens of innovation and these skills could prove invaluable in the future. 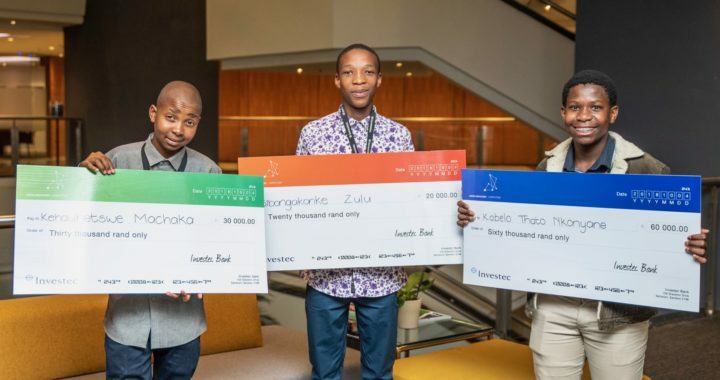 This annual four-day event motivates students to come up with innovative business ideas and high school students on JASA Enterprise and Academy Entrepreneurship programmes are eligible to enter. From the hundreds of entries received, 27 were shortlisted to attend two days of bootcamp style workshops. In these hands-on sessions, participants furthered their understanding of innovation and what it takes to go from a good idea to a successful business. They learned about marketing and costing, intellectual property rights and power pitching. Then, after a late night of final preparations, the candidates pitched to three panels of judges and 11 finalists were chosen for the final presentations. The three winners were announced at a gala dinner. To see all the innovative ideas of this year, you can click here and to see the 2017 winners, click here. Throughout the week, the learners were assigned mentors to help refine their business ideas and this entailed some very late nights. We caught Programmes Coordinator Bonga Khumalo slacking off…. 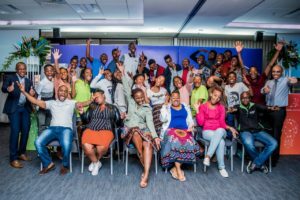 JASA facilitators from other provinces came to assist with mentoring on Junior Innovators, including Pontsho Kakuli, who has been a facilitator for JASA in the Free State for close on three years now. Another facilitator who travelled to Johannesburg to assist is Salome Kgokolo, who comes from Limpopo. Considering that today is International Teachers Day, it is fitting to thank all the JASA agents, facilitators, mentors and advisors in our network. Without their commitment , JASA would not be able to have long-lasting impact. We would also like to say a very big thank you to all the inspiring people at our funder Investec who work incredibly hard to make this event life-changing and memorable for the participants. 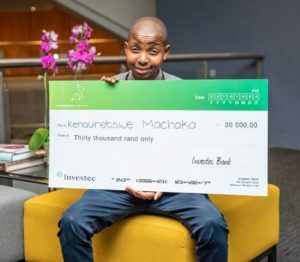 Posted in Investec Junior Innovators.